A not so mean green machine. Renting and riding a bicycle from a dockless bike-sharing scheme can be tough work. The two-wheeled transporters are built to last, which means they often have thick, heavy frames and chunky tires. If you're out of shape or intending to ride uphill, they can be a little off-putting. Thankfully, LimeBike has a solution — electric-assist bikes. 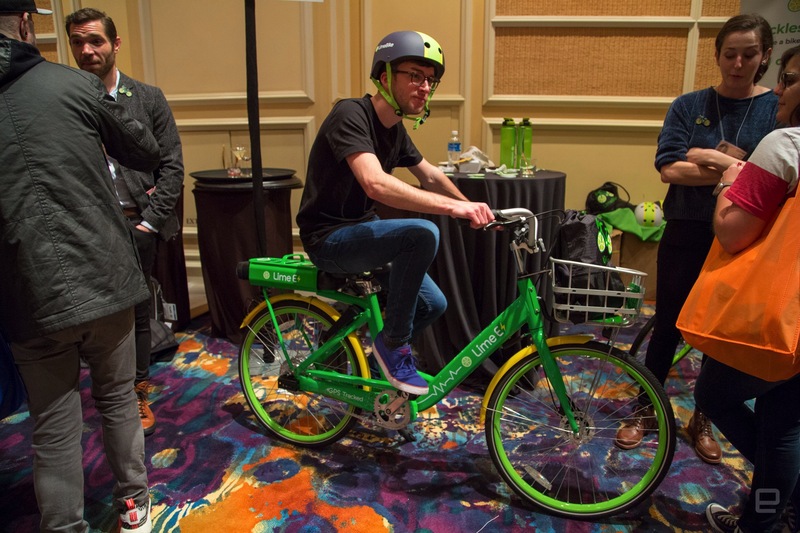 The company unveiled the Lime-E today, a green machine with a rechargeable lithium battery and a 240-watt motor. It can help you reach speeds of 15 MPH and will, the company claims, adapt to your individual riding style too. It's still a hefty bicycle, however. At CES 2018, I was able to sit on the saddle and, for a moment, pretend I was gliding down the streets of San Francisco. (I would have ridden it for real, but a crowded convention hall didn't feel particularly safe.) The motor is always-on and will kick in as soon as you've unlocked the bike. The battery is hot-swappable, though you can't replace it yourself — LimeBike's staff will be roaming around and refreshing batteries in between rides. If you're interested, it'll cost $1 to unlock and an additional $1 for every 10 minutes that you're riding. LimeBike operates in a bunch of US locations including Seattle, Miami, and the greater San Francisco bay area. (The company also expanded to Zurich and Frankfurt, its first European markets, last month.) 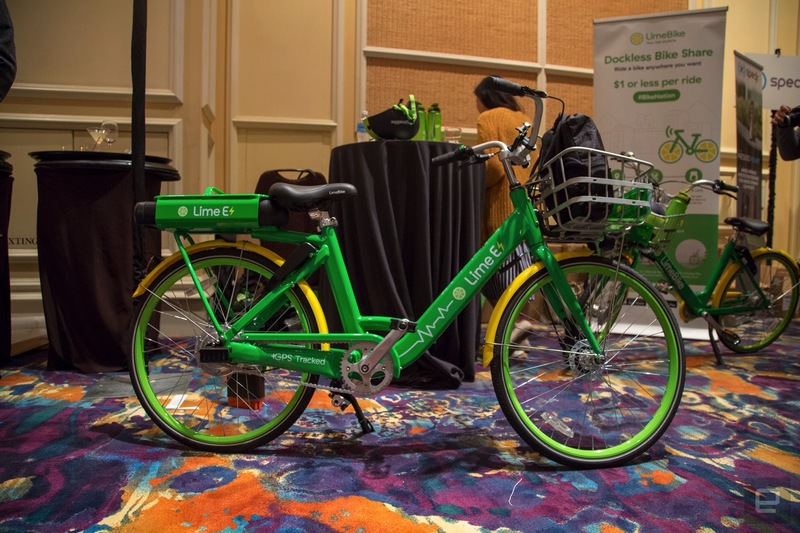 The Lime-E will be added to the company's existing fleet later this month — a useful differentiator, perhaps, from the countless other bike-rental services that have been popping up around the world. Electric-assist bikes aren't for everyone, but if you want to be just a little healthier — while still getting around at a decent pace — this could be an option worth considering.